The complex process of the UK exiting the European Union has repeatedly highlighted the British government´s lack of foresight in dealing with the dire consequences of Brexit. The greatest geopolitical issues have arisen in regions that voted „remain” and are being forced to leave such as Scotland, whose claims for independence have strengthened and Northern Ireland, where the possibility of a returning „hard border“ threatens stability in the region and the achievements of the peace process, started 20 years ago. In recent days, however, another British region has been hitting the headlines. 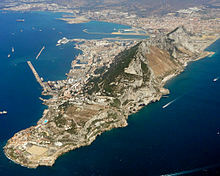 With little more than 30,000 inhabitants, the often-forgotten territory of Gibraltar, situated on the southern tip of the Iberian Peninsula, has become the latest Brexit headache, threatening to put a spoke in the wheel of negotiations with the EU. An overwhelming 95% of Gibraltarians voted to remain in the EU. Now, the possibility of border control between “the Rock” and mainland Spain has once again ignited the on-going conflicts with Madrid, backed up by Brussels. Spain has never given up on claims to sovereignty over Gibraltar, but for several decades, the fact that both countries were in the European Union, subject to the same rules, relieved tensions. In a dramatic twist to the countries’ relations British politicians have even threatened Spain with war, reminding how the UK once confronted Argentina to keep the Falkland Islands. Once again, in order to overcome such hurdles, representatives from the UK and the EU must negotiate in a pragmatic and sensible way. Safeguarding the rights of the local population must be regarded as a priority ahead geopolitical disputes. Birmingham, Land of the Mohammedan?